Stephen Totilo and I have spent the past week (and one very, very long night) playing, stress-testing and examining the Playstation Move. Do you have any questions for us? 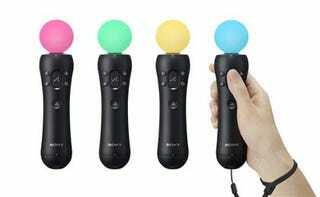 We're going to be chatting about the Sony tech live on today's episode of Kotaku Talk Radio. We'll also be sure to break in with any big news that comes out of Apple's press conference today. And don't forget to give us a ring — or listen live.